Can You Die From a PCP Overdose? Can You Overdose on PCP? PCP (phencyclidine) is a dissociative anesthetic. Commonly known as “angel dust,” people use it recreationally because it leads to feelings of euphoria. PCP rehab centers and overdose recovery. Who Answers? if you or someone you love would like more information about recovery programs for PCP. If you believe someone who has been using PCP is in medical danger, do not leave him or her alone. People who overdose on PCP may lose consciousness and die from an obstructed airway, depressed breathing, or even a heart attack. Turn the unconscious person on his or her side and call 911. Given that PCP is illegal, users often don’t know the purity or dose of the drug. Some people are unaware that they are even taking PCP because it is often added to marijuana, LSD, and other substances. Age and gender (especially young men aged 18 to 34). A history of abuse or addiction. Geographic location – use is more common in the Northeast and the West Coast. Tolerance, as regular users end up taking higher and higher doses. Mixing PCP with other drugs and/or alcohol. A family history of addiction. Using PCP to cope with problems. Having a mental health diagnosis. Stabilization. Upon arrival at the emergency room, health care professionals will attempt to take vital signs, assess for a patent airway, secure intravenous access, stabilize the patient (performing CPR, if necessary), and next provide symptomatic treatment. Diagnosis. Next, the treating health care professional will determine the cause(s) of the symptoms. Toxicology screening will be conducted to assess for the presence and levels of PCP, as well as whether additional drugs or alcohol were consumed. Sedation. 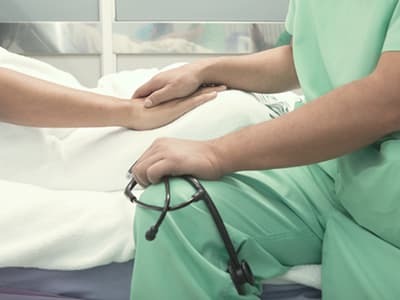 Health care professionals may place the person in restraints or under sedation as many people under the influence of PCP become violent and/or suicidal. Psychotic symptoms may be treated with medications. Activated charcoal. Staff may administer activated charcoal to prevent further absorption of any drugs from the digestive tract into the person’s system. Treatment of any seizures. Seizures will be controlled with medications. Heart monitoring. Patients with severe cardiac symptoms are placed on heart monitoring. Factors such as height, weight, age, general health, tolerance, and whether alcohol or other substances were simultaneously ingested are important factors in the outcome of a PCP overdose. Who Answers? to speak to a recovery support specialist about a rehab program for PCP or addiction to another drug. It is possible to die from an overdose. Most fatalities are the result of accidental or self-inflicted harm rather than the toxic effects of overdose.5 Diminished breathing capacity can deprive the tissues of oxygen, damage vital organs, and may cause death, as can convulsions, seizures, renal failure, and cardiac arrest. Most people survive overdoses, but the use of PCP is a high-risk, potentially self-destructive behavior that is commonly associated with addiction and dependence. Many individuals go to a rehabilitation facility after receiving emergency overdose treatment. Getting immediate help will minimize your chances of relapsing. Substance abuse disorders are not always easily treated, so working with trained professionals is the best place to start. The first step to treatment is recognizing and accepting that there is a problem. The good news is that cravings can stop, the need or desire to use can end, and recovery is possible, particularly with the right support and treatment. Inpatient and residential treatment: An inpatient PCP rehab center provides access to medical as well as psychological care. Participants can get one-on-one counseling from a trained professional who can help them address the underlying issues of PCP addiction. Treatment generally lasts for 28 days to 90 days, but will vary according to your specific needs and recovery progress. Outpatient treatment: Outpatient PCP rehab centers can include programs that meet once a week for group or individual counseling to partial hospitalization programs that meet multiple times a week for several hours at a time. These programs are frequently used as transition programs for people who complete an inpatient program or for people who do not have especially severe or long-lasting drug addictions. 12-step fellowship: Twelve-step programs provide a place to share experiences and support others. Participants work through a sequence of steps with the help of a sponsor. These are abstinence-based programs in which members surrender to a higher power as part of their recovery journey. Non-12-step programs are also available in many communities. After completing a recovery program, aftercare or follow-up care can help prevent a relapse. Aftercare can take a number of forms and include individual and group counseling, 12-step meetings, outpatient treatment, or sober living. If you need help choosing a program for PCP addiction or overdose, call our helpline today at 1-888-319-2606 Who Answers? . A rehab support specialist can help you locate a program based on your insurance and other personal preferences, such as location and cost.
. Bey, Tareg MD. and Anar Patel, MD. (2007). PMCID: Phencyclidine Intoxication and Adverse Effects: A Clinical and Pharmacological Review of an Illicit Drug. California Journal of Emergency Medicine.
. Center for Disease Control. (2016). Emergency Department Visits for Drug Poisoning: United States. 2008-2011.
. The Mayo Clinic. (2014). Risk Factors.
. Substance Abuse and Mental Health Services Administration. (2013). PCP-related emergency department visits rose 400 percent over six years.
. National Institute on Drug Abuse. (2016). What are Hallucinogens?
. National Drug Intelligence Center. (2006). PCP Fast Facts.
. National Institute on Drug Abuse. (2012). Principles of Drug Addiction Treatment: A Research-Based Guide (Third Edition).